The arrival riding into Abaye de Fontevraud is fantastic! Pace: fast – 2 days riding from 4h to 6h per day in the saddle. Mixed breed horses trained for trail rides. 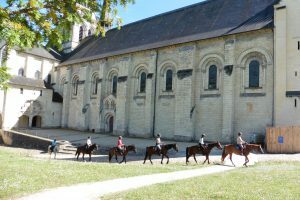 For regular riders able to have long canters who want to discover all faces of the Loirevalley: vinyards, forests, rivers, history, castles, gastronomy, meet owners of ancestral chateaux. Arrival from train station of Saumur to château de Beaulieu at Saumur. Dinner and briefing at château de Beaulieu. Beginning of the ride to Champigny troglodyte cellar by the vinyards. Arriving on horseback into the troglodyte cellar according the season… an unforgetable experience! Champigny wine testing in troglodyte cellar – Gourmet lunch in a local restaurant. 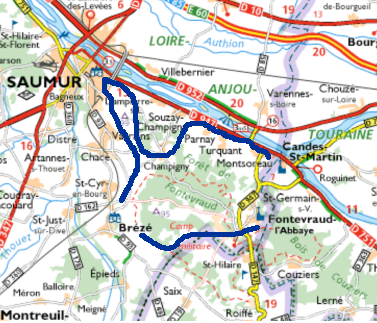 Ride in the Champigny vinyards, and along Loire river to chateau de Montsoreau. Visit of chateau de Montsoreau Dinner and night in Chateau de Beaulieu. Beginning of the ride to Chateau de Brézé by the vinyards, and country side. Lunch in old stables of château de Brézé. Guided visit of château de Brézé. 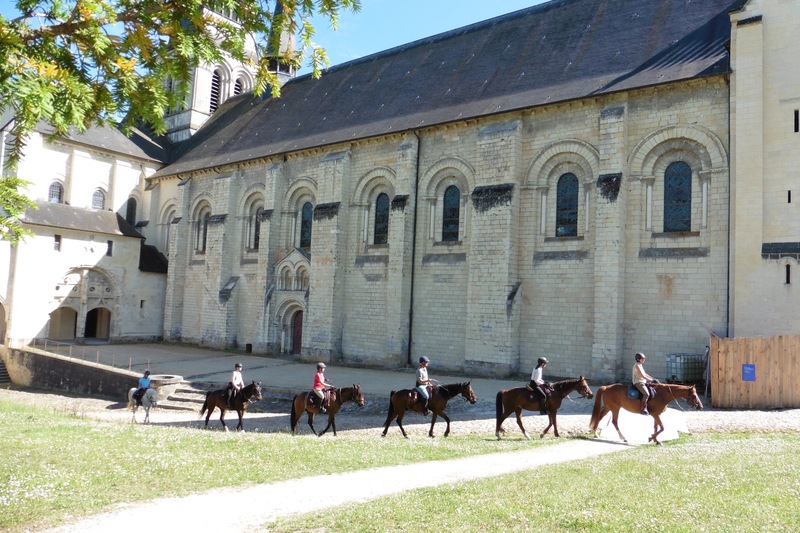 Ride in the vinyards, country side and woods to Abbaye de Fontevraud. 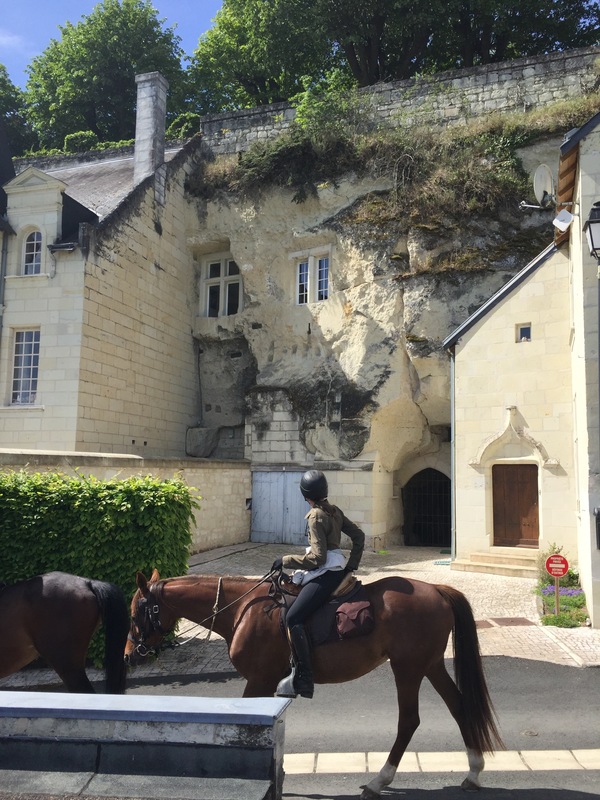 Magical arrival inside the Abbaye on horseback. Visit of Abbaye de Fontevraud. Dinner and night at domaine de Mestré at Fontevraud. Breakfast at Domaine de Mestré – Departure.